I am having clearance issues installing my Speigler lines. The metal tab on the brake lever perch thing is in the way...I'm most likely going to grind that part off. 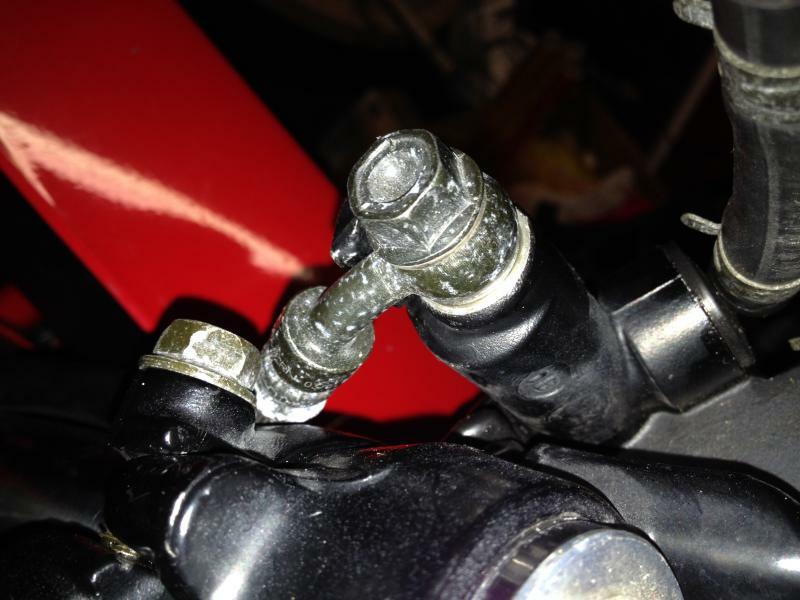 Is that normal for installing aftermarket brake lines on stock clipons? 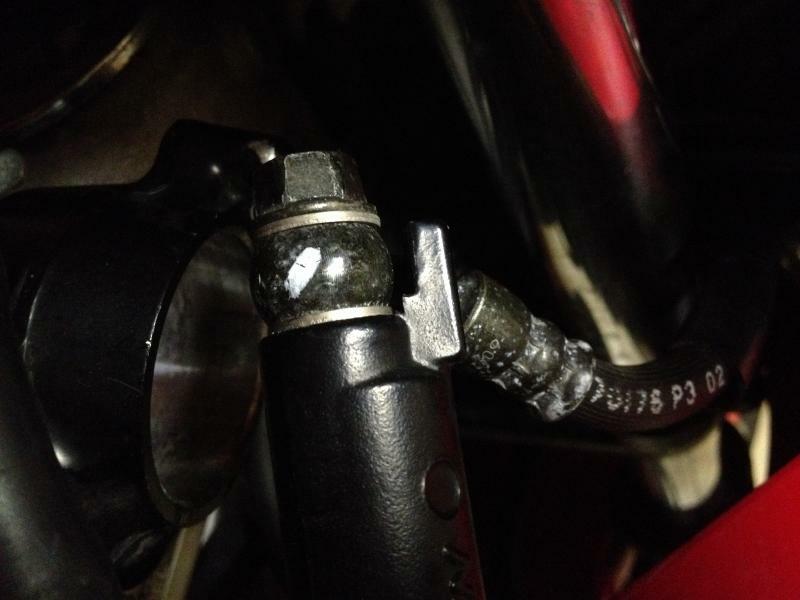 The second picture is when I was trying to add FZ1 bar and clamps, but the same situation applies with the stock clipons which I'm going back to for right now because the pinch bolt on the triple would be in the way, so the lines would have to be on the other side of that metal tab. I've got Speigler lines and didn't have to grind any thing for purposes of installation. 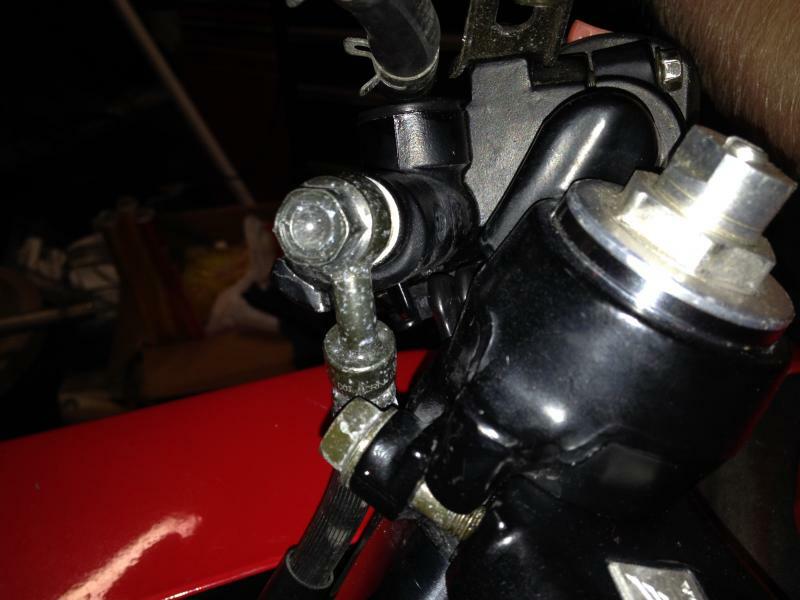 Did you rotate your brake lever and such upward/toward you more to make more room? I find that brake lever position uncomfortable for my wrists to reach. 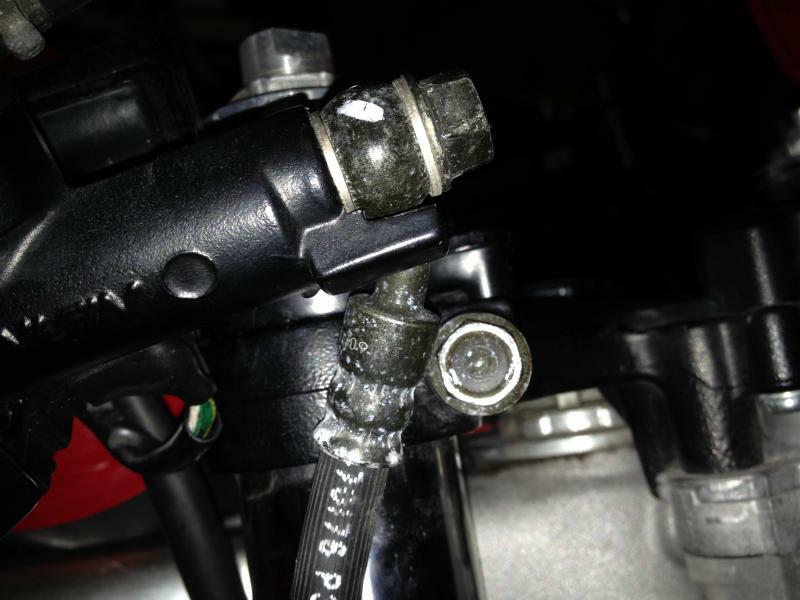 Attached are better pictures of how the stock line looks with the clearance of the little metal tab next to the banjo bolt and the clearance of the pinch bolt on the upper triple/fork area. Never mind. I guess I spoke too soon. Went ahead and tried to install the new lines and everything seems to be OK. Just have the brake lever not as low as I'm 100% comfortable with, that's all. But I'm good now, no worries!! My brake lever is at the same angle as with stock lines. No change needed. Yeah I have a feeling if I want to be 100% comfortable I'll have to do the same. I've got VFR bars and risers on the way though so maybe the added height will make the current angle of the levers just the way I like it. Anyone have photos of Speigler frame sliders?